For Joep to run still in the first level (A-class), his judge for this day Arjen van Gastel. Quita judge Ben Gräfe in the Veteran-classe large. The weather was very good, always very positief for matches outside! 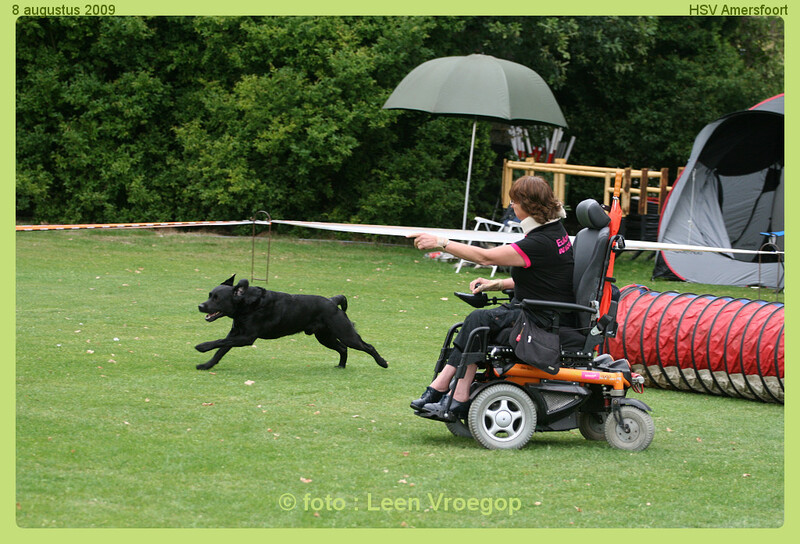 Our last agility-match before we will drive to Hungary to take part into the 8th ParAgility World Cup, so we hope a good training! 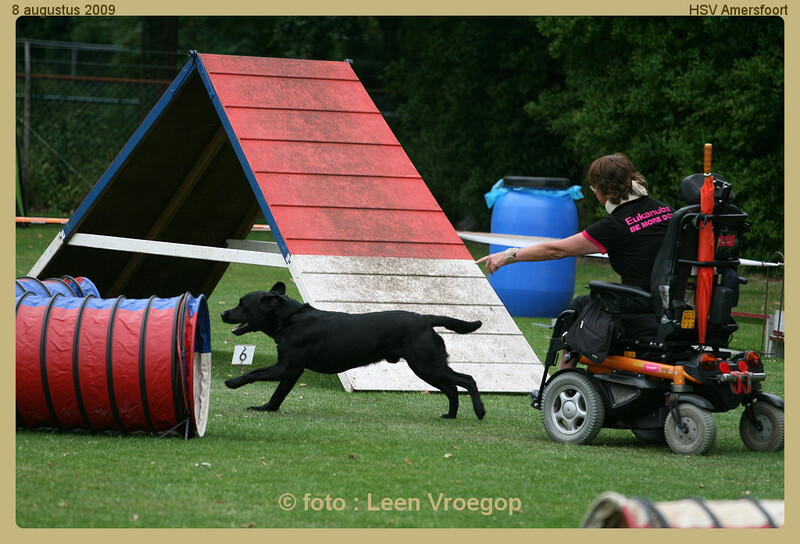 Her Agility was very nice, a clear run but some seconds more then SCT! On the Game-course for Joep a 20th place of the 49 competitors....not very bad! Also for him on the Jumping a disqualification and on the Agility a clear round...but also to much time.even 15e place on the list! Judge Willem-Alexander Kelders for Quita and Arjen van Gastel for Joep. Quita only runs the Jumping and Agility , that's enough for her age (9 years). On the Jumping a disqualification, but on the Agility a very nice clear round..only 4,37 seconds more then the SCT, this give her the 12th place of 31 competitors. For Joep a good day...of the 73 competitors of his group he became on the Game-course 13th and on the Jumping 32th! The SCT of the Jumping 33 seconds...for us not easy to get! I was satisfied of their runs! Today only runs for Joep into the first level ( A-class), judge Ron van Straten. Not a very succesfull matchday....Agility and Jumping both a disqualification. 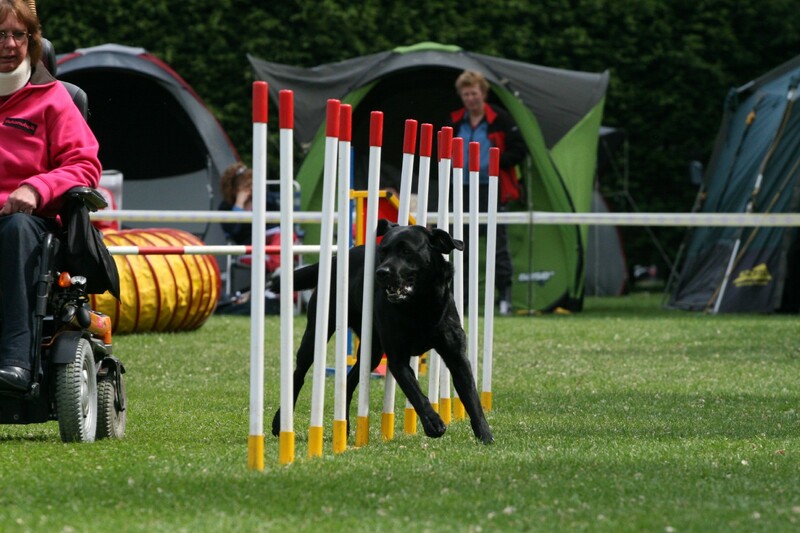 The Game-course was not very bad but it was a TFU ( time- fault- out) that means only the obstacles you had run withouit a fault are counted..so when you make on the 3th obstacle a fault, you will get 2 points...and the dog with the most points and the fast time will be the winner! Today only the first level so Joep was running. The start on the Game-course was not very good..disqualification, but later on the day Joep came back. On the Jumping only one refusal, but this give as well a 29th place of the 86 competitors (54 runs a disqualification). On the Agility he ran a clear round, so again a good place 24th....again 56 competitors a disqualification so we were very happy! Judge Adri van den Bosch, a judge with a lot of experience, had make very nice courses for first level. On the Game-course, always the first courses to run for the A-class, Joep ran very good and became on the 18th place of 75 competitors, this was a very good start! Joep have obtained a second place of the group match-competitors by the mutually matches of the dogschool we are training HSVA in Amersfoort. On saterday 12-12-2009 our last jumping and agility-course to run of the total 3x agility-courses and 2x jumpings the second part of the trainings-season 2009. On friday 13 November we started our journey to Roncq in France to pass the night. By this way we were sure to be on time in the Expo-Hal in Kortrijk, Belgium on saterdaymorning! By consulting the judges, Kees Stoel from the Netherlands, Michel Liekens and Wilfried Claes from Belgium, it was possible for my oldest dog Quita to run into the medium-classe (because she's Veteran) without compete! 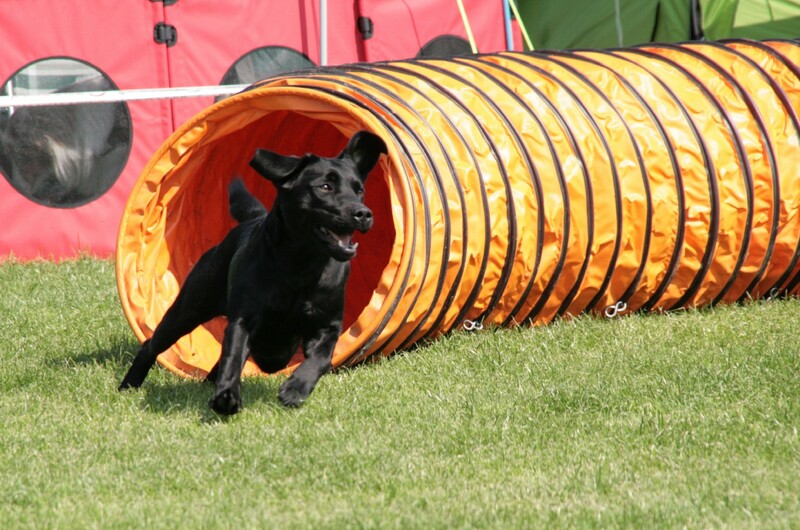 Quita had run 3 of the 4 courses (2 agility and 2 jumping) beautifull clear rounds! Joep had some faults, but of the 4 courses he had only one disqualification. The course were pithy with a lot of traps, so there were a lot off disqualifications! 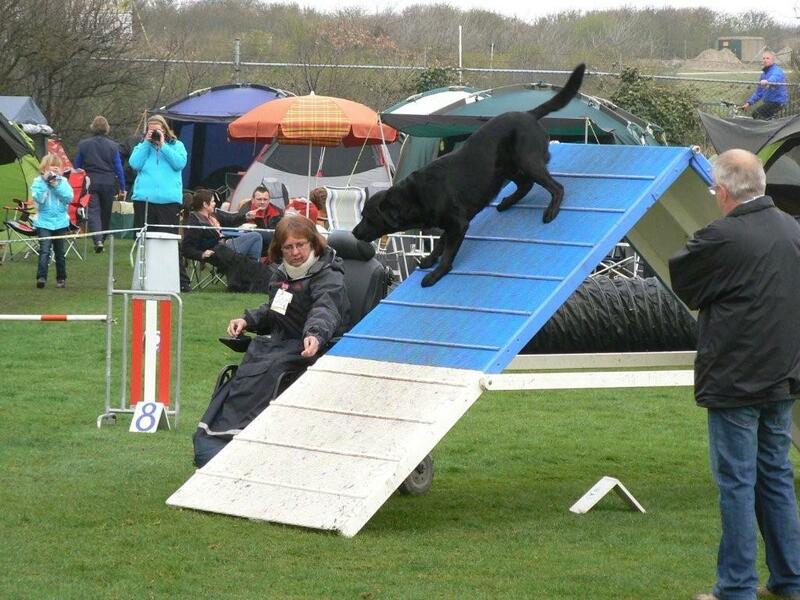 Also met a lot of friends from Belgium and of course promoted the para-agility to the general public! Today judge Jan Sprij, also the coach of the dutch IMCA-Team. There are 4 selection-matches and of each categorie small/ medium and large will go the 4 handlers with the best results to the 10e IMCA 2009 in Hungary, the 5th competitor will be assigned. Joep started his day with a disqualification on the Game-course, but also make better his Jumping, clear round with give hime a 27th place of 68 competitors) . On the Agility again a clear round, this result to a 20th place...also not bad for a dog from the first level between dogs of the highest level ! On the first selectionmatch for IMCA team (total 4) Sandy Amerlaan as judge. Very pithy and technical courses, not always easy to drive with an electric wheelchair! Quita ran a disqualification on the Agility but was much better on the Jumping, clear round! This give her a 21th place on the list of 33 competitors. Joep his start was good, 15th on the Game-course of 65 competitors....On his Jumping he was less succesfull.....a disqualification, but on his Agility a clear round. Naturally not the fastest time but as well a nice 36th place!